Today holds different meanings for Australians around the country. For some it’s a celebration, for others it’s a time of sombre reflection – and for many it’s just another sticky summer’s day. As the world’s only island continent, what binds us together – physically and culturally – is the ocean. It frames us, hugs us and shapes us. Wherever we’re from, we’ve all had those salty, sandy moments catching wild waves, leapfrogging rock pools, or feeling that silent serenity gliding through underwater galaxies. Today’s Google Doodle celebrates Australia’s big blue backyard and treasured natural World Heritage Site, the Great Barrier Reef. With help from The Ocean Agency, we chose to honour the precious creatures and coral in this underwater world – featuring protected species such as the Green Turtle, Pipefish, Barramundi Cod, Potato Cod, Maori Wrasse, Giant Clam and Staghorn Coral. We’ve been working over recent years with The Ocean Agency to put our oceans on the map, capturing their beauty and allowing people to explore them from anywhere in the world. Millions of people are lucky enough to visit the reef every year, to dive or snorkel in this majestic underwater world, but many more aren’t as fortunate – and time is not on their side. According to The Great Barrier Reef Foundation, coral cover in the Great Barrier Reef has declined by 50% in the past 30 years. Naturalist Sir David Attenborough says the reef is in grave danger. More than ever, we’re compelled to look beneath the surface. 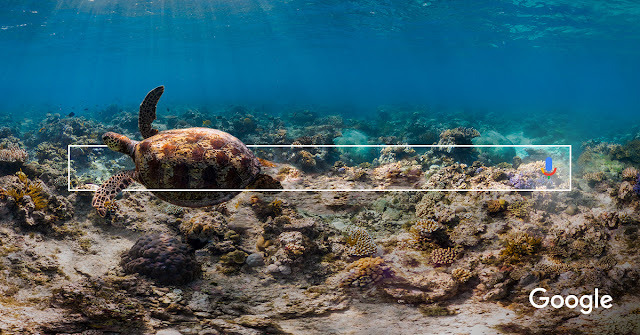 Whether you’re spending today in the bush, on a boat or in your mate’s backyard, we invite you to click on the link below today’s Google Doodle to dive into the reef with Street View. Click the < and > buttons to venture into Norman Reef, Knife Reef, Myrmidon Reef, Ribbon Reef 10, St Crispins, The Cod Hole and Tijou Reef (all captured by The Ocean Agency). Today, Google Play Music Australia reveals its ‘Artists to Watch’ in 2017. These head-turning artists are expected to make a big splash this year in music. Our ‘Artists to Watch’ are compiled using a range of factors including track performance on Google Play Music Australia’s new-music playlists, popularity on Google Trends and YouTube, as well as specialist Google Play Music Australia editors’ recommendations. Topping the list is Melbourne’s very own Tash Sultana, who made a stellar debut in September with her ‘Notion’ EP and its breakout track ‘Jungle’. She has already sold out shows from London to LA on her coming world tour. “I’m stoked to be Google Play’s Artist to Watch for 2017,” Sultana says. 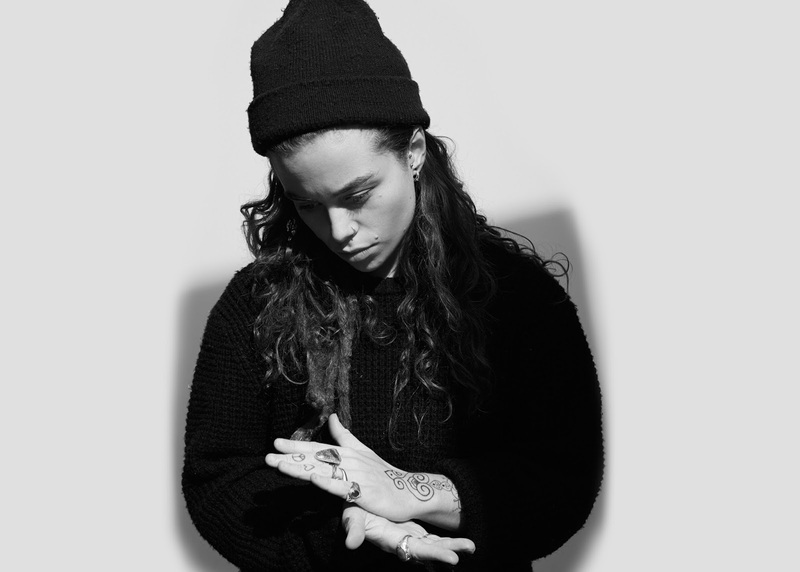 There are three more female Australian artists on the ‘Artists to Watch’ list. These include Jess Kent, who recently opened for Coldplay on the British band’s stadium tour of Australia, and Cloves, whose track ‘Don’t Forget About Me’ last year enjoyed a high-profile feature on a major film soundtrack (‘Me Before You’). As for overseas talent, Google Play has its eye on Bebe Rexha and Maggie Rogers from the US, and Brits Sampha and Rag’n’Bone Man, as rising stars. This past November, Google launched a new look for Google Play Music — a fresh take on our music streaming service that is smarter, easier to use and much more assistive. Google Play Music uses machine learning to figure out what music you like and then mixes in signals such as location, activity and the weather, along with hand-picked playlists, to personalise music for wherever you are and whenever you want tunes. All of the Top 10 Ones to Watch in Australia, as well as the longer list of suggested artists, feature in Google Play Music’s Artists to Watch 2017 playlist.